Naples, Fla. (May 23, 2014) – The Naples area real estate market continues to show signs of growth as summer approaches with noteworthy performance in April as reflected in a report released by the Naples Area Board of REALTORS® (NABOR®), which tracks home listings and sales within Collier County (excluding Marco Island). April closed sales are the highest for any month year to date. Both pending and closed sales in April are over 1000 units each, showing good momentum going into summer. The closed sales activity in the $1 million and above category continues to remains strong with a 25 percent increase from 714 units in the 12-months ending April 2013 to 951 units for the 12-months ending April 2014. 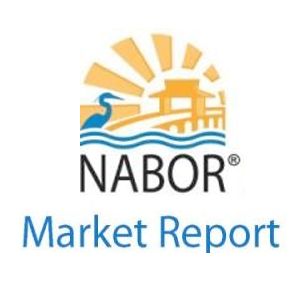 “New construction is becoming an integral part of the Naples real estate market. Data compiled from the U.S. Bureau of the Census shows 4,290 single and multi-family housing units permitted in Collier County from 2012 to 2013,” said Fioretti. Overall closed sales increased 4 percent from 9,385 sales in the 12-months ending April 2013 to 9,763 sales in the 12-months ending 2014. Closed sales for single-family homes in the $2 million and above market increased 56 percent from 25 in April 2013 to 39 in April 2014. The overall median closed price increased 14 percent from $219,000 in the 12-months ending April 2013 to $250,000 in the 12-months ending April 2014. The overall median closed price of homes $300,000 and under increased 13 percent from $149,000 in the 12-months ending April 2013 to $168,000 in the 12-months ending April 2014. 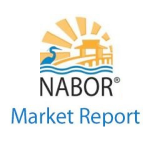 The median closed price for condominiums in the $2 million and above market increased 8 percent from $2,700,000 in the 12-months ending April 2013 to $2,922,000 in the 12-months ending April 2014. The overall average days on market are at 93 for April 2014. Overall pending sales increased 3 percent from 10,678 in the 12-months ending April 2013 to 10,987 in the 12-months ending April 2014. Overall pending sales increased 13 percent for homes $2 million and above from 48 contracts in April 2013 to 54 contracts in April of 2014. Overall pending sales decreased 12 percent in the $300,000 and under segment from 762 in April 2013 to 672 in April 2014. Inventory of condominiums decreased 24 percent from 2,553 units in April of 2013 to 1,951 units in April of 2014. Inventory of condominiums in the $2 million and above market decreased 47 percent from 64 in April 2013 to 34 in April 2014. Inventory of single-family homes increased 2 percent from 2,167 units in April of 2013 to 2,206 units in April of 2014.